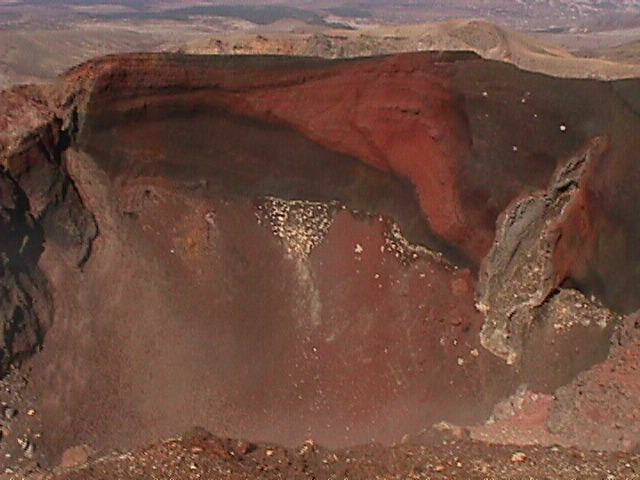 Although lower than nearby Mt Ngauruhoe, Mt Tongariro is actually parent to the child vent of Ngauruhoe. Like Ngauruhoe, Tongariro can be bagged on a sidetrip from the Tongariro Alpine Crossing, but unlike Ngauruhoe, this sidetrip is a relatively easy detour. 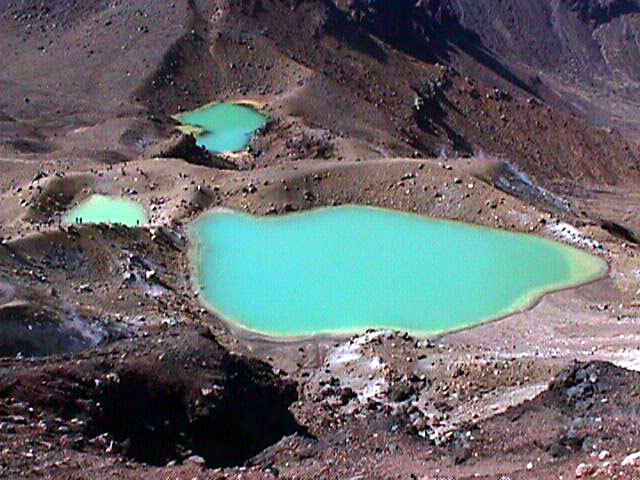 A trip to summit of Mt Tongariro passes near many of the key sights on the Tongariro Crossing, including Red Crater, Blue Lake, and North Crater. The Tongariro Alpine Crossing isn’t one of New Zealand’s most popular tramps for nothing, and bagging Mt Tongariro along the way makes it even better. Maori Legend Ngatoro-i-rangi was on the summit and at risk of dying from the cold, so he called to his sisters in Hawaiki for fire. His cries travelled on the south winds, and firey eruptions were brought to the mountain. Most people taking the Tongariro Alpine Crossing base themselves in Whakapapa Village, National Park Village, Ohakune, Turangi, or Taupo, and all are with striking distance of the the Mangatepopo road end. The turn off from State Highway 47 on to Mangatepopo Rd is about 5km north of the Whakapapa Village turnoff. 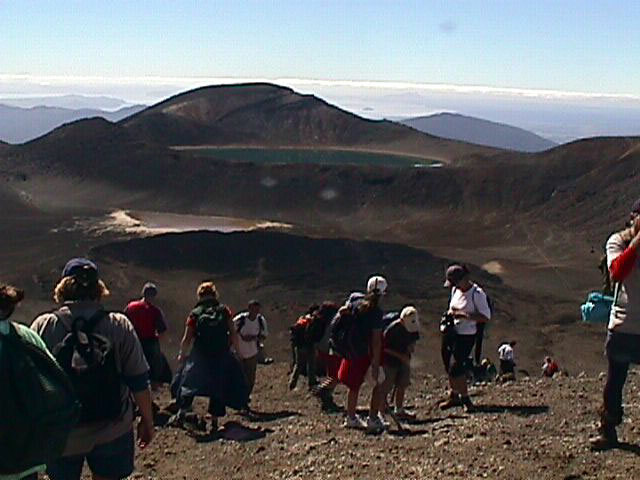 Mt Tongariro is a 2 hour side trip from the main Tongariro Alpine Crossing track. For this reason, there is little difference time wise between returning to Mangatepopo or continuing on to Ketetahi. You choice will depend on your transport arrangements, but we recommend you add Mt Tongariro to a Tongariro Crossing traverse. As an alternative to a day tramp, you can also overnight on the mountain. You could stay at Ketetahi Hut, or you could bag Tongariro as part of the Northern Circuit tramp (3-4 days). 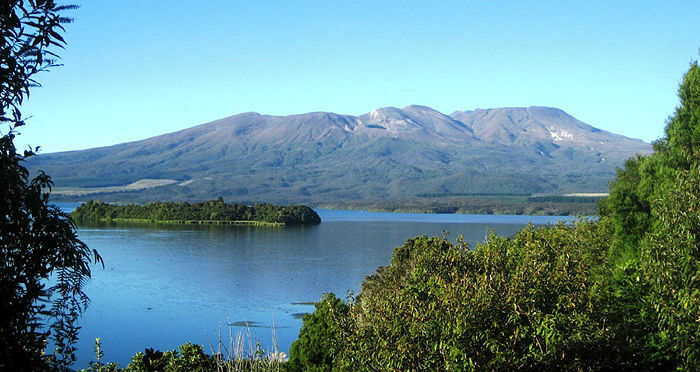 Mt Tongariro and the Tongariro Crossing are located in an alpine environment. From May to Dec it is likely you will find snow or ice on some sections of the tramp. At all times of the year, the weather can be very changeable, and many many people have needed to be rescued from this environment (they were the lucky ones). You need to take appropriate windproof clothing and tramping boots. You should check local conditions with DOC Whakapapa (07 892 3729) and also let them know your planned movements. If DOC says not to go, do not go! 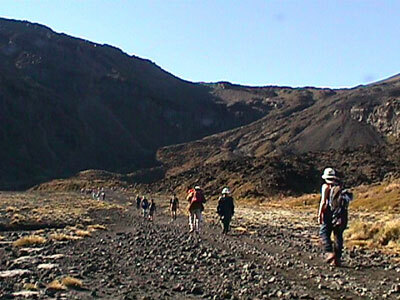 In 2007, DOC changed the name of the ‘Tongariro Crossing’ to the ‘Tongariro Alpine Crossing’, to better reflect the environment the walk traverses. Remember also that Mt Tongariro is an active volcano, so be wary of steam fumuroles and other volcanic activity. You can check the GNS website for volcanic alert bulletins. Don’t let all this put you off however, as in the right conditions the Tongariro Alpine Crossing is magnificent! Just make sure you go in the ‘right’ conditions.